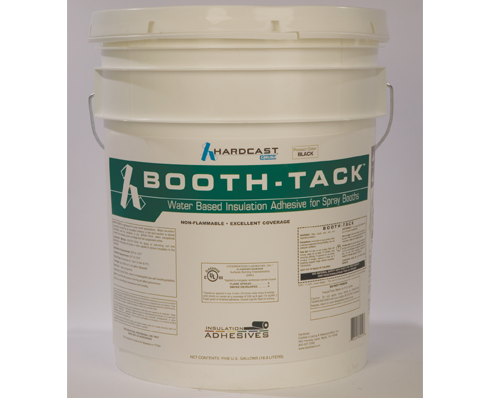 Booth-Tack is a quick-tack, antimicrobial, non-ﬂammable, water-based insulation adhesive engineered for spray booth applications. Booth-Tack is used in situations when duct insulation is promptly secured by an insulation fastener or the duct section is stored horizontally until the adhesive is dry. Booth-Tack offers high strength, low viscosity, great coverage and low suspended solids. Coil-Tack is a low-tack, nonflammable, water-based insulation adhesive engineered for spray or extruding coil line applications. The low viscosity, low-suspended solid eliminates clogging within the adhesive delivery system, ensuring consistent operation. 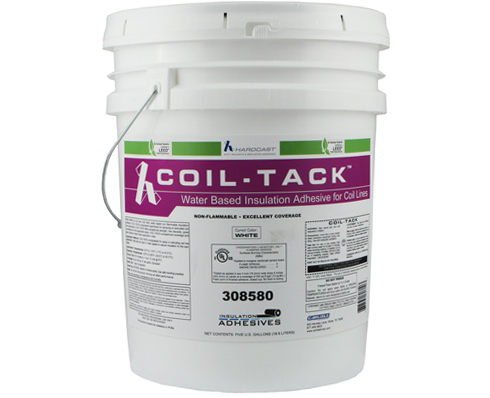 Coil-Tack’s exceptional coverage and easy cleanup means lower application cost.